When you use LTI to reuse edX course content, learners who are already familiar with an external learning management system or other consumer application (external LMS) see content from edX that is seamlessly integrated into a familiar context. Only the content that you specify from edX appears in the external LMS, typically within an iframe on a page. For example, you can set up a course on an external LMS, such as Canvas, to include a link to a problem component that is part of an edX course. The problem is included as one of the course’s assignments, and appears in Canvas like other content. This section provides background information on different aspects of the experience that learners and course team members have when interacting with edX content in the context of an external LMS. For information about the content that you can include in an external LMS, see Preparing to Reuse Course Content. Course teams manage the course roster entirely on the external LMS, as you would for other courses that run on that platform. Learners do not use the edX LMS to enroll, and the course team does not complete any enrollment activities in Studio or the edX LMS. To obtain enrollment data for the course, you use the features available in the external LMS. Different configuration options are available for how an external LMS and edX Edge authenticate users. Your DevOps team is likely to have additional information about the specific authentication process used by your institution. Learners do not need to navigate to a different website, or sign in to any other system (including edX), to access content that originates in an edX course. However, the first time a learner views edX course content in the external LMS, she might have to re-enter her credentials for the external LMS, even though she is already signed in to the external LMS. Internally, the edX instance associates a unique internal identifier to each learner’s credentials to allow for a streamlined, single sign in experience in the future. However, this separate edX identifier can make some edX content confusing for learners when viewed in the context of an external LMS. For example, edX course discussions can identify participants by their edX IDs instead of the usernames they would normally see in the external LMS. As a result, some edX content is not currently suitable for use in an external LMS. For more information, see Preparing to Reuse Course Content. Each learner’s progress through the edX content is saved. 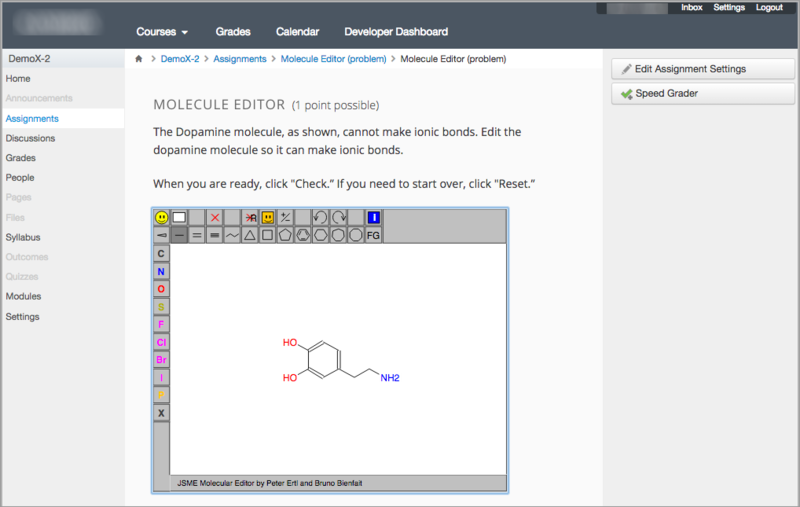 Learners start, stop, and resume work in the external LMS in the same way that they would in the edX LMS. Learner responses to edX problem components are graded by the edX system, and then transferred automatically to the grade book in the external LMS. For more information, see Grading Remote Content. To obtain learner engagement and performance data, you use the features available in the external LMS.